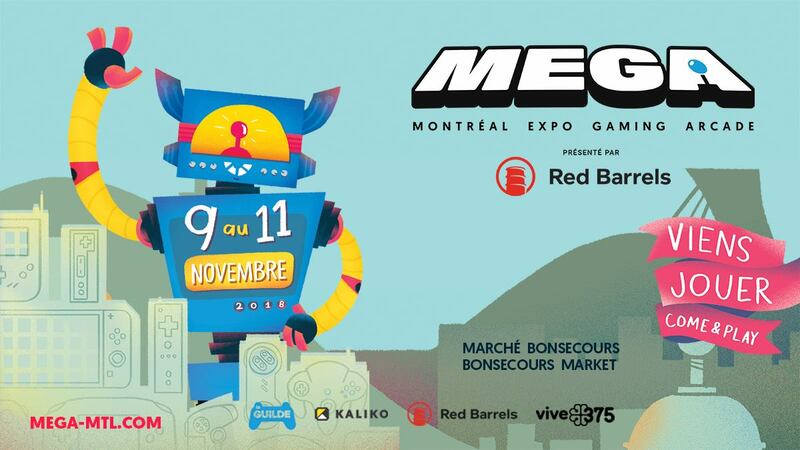 The Red Barrels team is proud to be presenting the 2018 edition of MEGA, Montreal’s Expo Gaming Arcade, this November 9th to 11th in Montreal at the historic Bonsecours Market. The event will take place over 3 days and is expected to welcome thousands of video game enthusiasts. Some of the highlights of the event include a multiplayer zone that will have on-site tournaments and contests, the Expo section that will feature exclusive new games ready to be played and the 4th annual Montreal Independent Games Festival Awards. Students and job seekers are also able to explore the educational and career opportunities that the Quebec video game industry has to offer at the various information kiosks. If you happen to be in the Montreal area November 9th – 11th, come play games, meet recruiters, compete in tournaments and watch the best of the best compete in the Montreal Independent Games Festival Awards! For more information please head to the official MEGA website. We look forward to seeing you there!